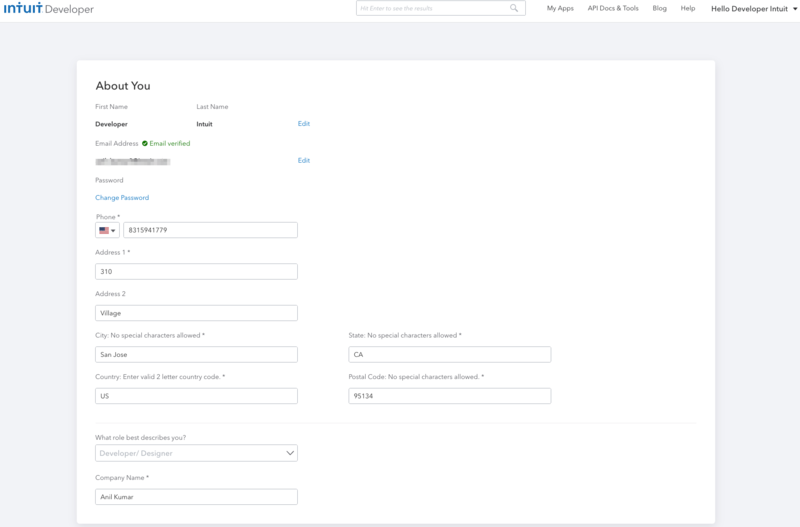 To go live, you will need QuickBooks Online production Oauth keys. Production keys allow your app to access and interact with production QuickBooks Online data. 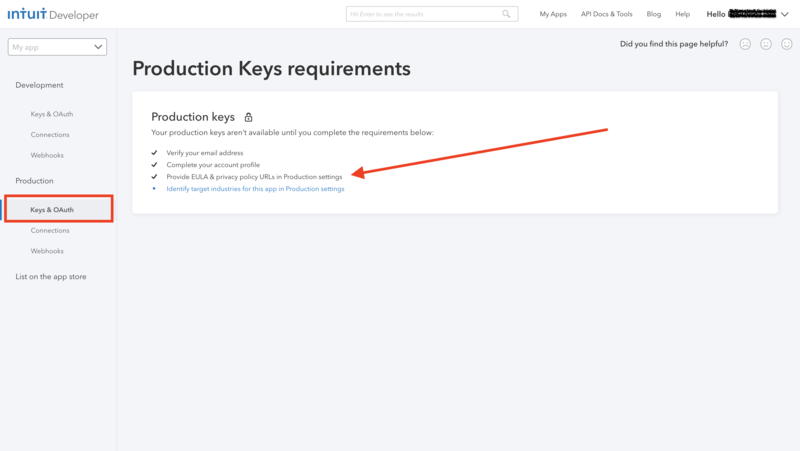 Follow these steps to enable your app to use production keys to access production QuickBooks Online data. Complete your account profile and verify your email address and complete your account profile. Provide a logo and name for your app. Refer to the Naming and logo guidelines page. This will help your clients identify your app. Click the Keys & OAuth tab under Production to get your production keys. Your app is now able to access QuickBooks Online data. You can access your app via the connect to QuickBooks button you implemented. Do you want to make your app available to over two million QuickBooks users? 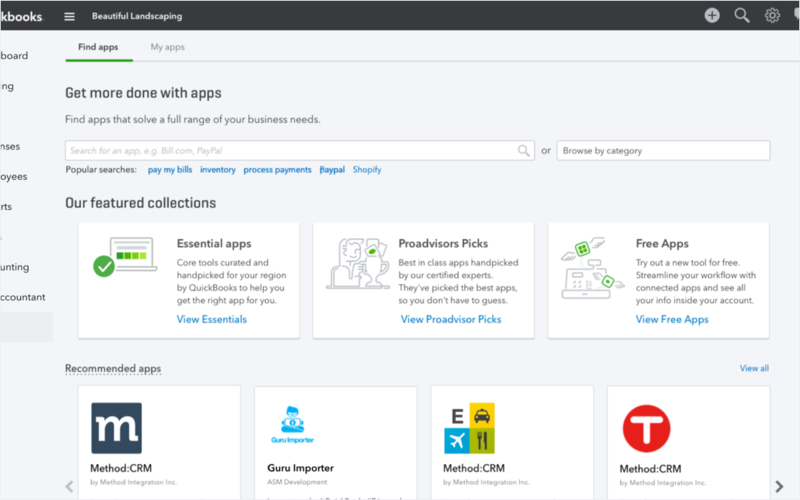 You can choose to publish the QuickBooks Online App Store where millions of QuickBooks customers will have access to your app. Review our logos, buttons, and naming guidelines. Publish your app on the QuickBooks Online App Store.